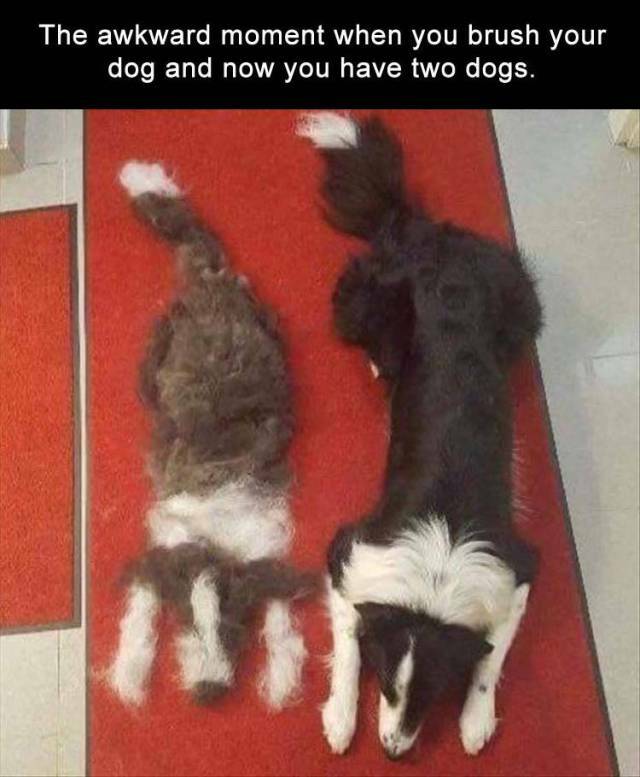 The awkward moment when you brush your dog and now you have two dogs. Need more light in your shower? Problem solved. Well said Donkey. Laughter is indeed a tranquilizer and should be taken often.